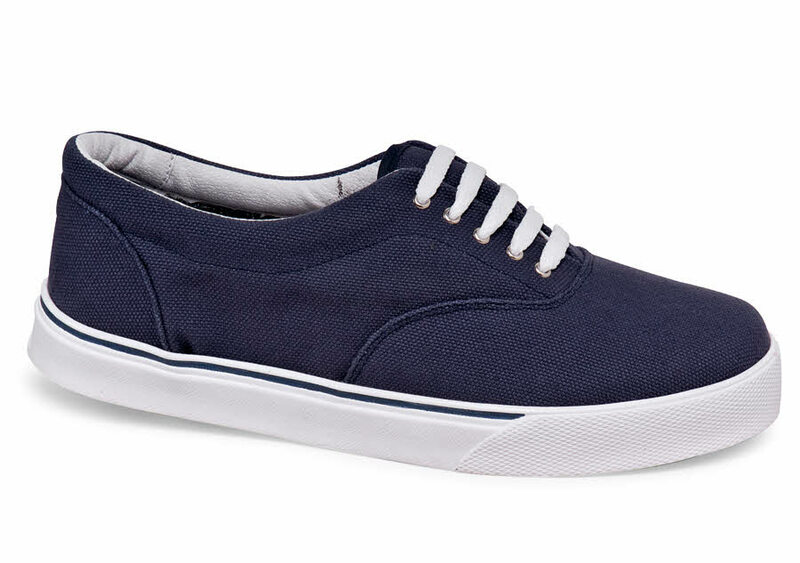 The genuine canvas uppers of our super-wide navy casual tie shoe are backed with a breathing fabric lining. Padded footbed has an absorbent fabric sock lining. 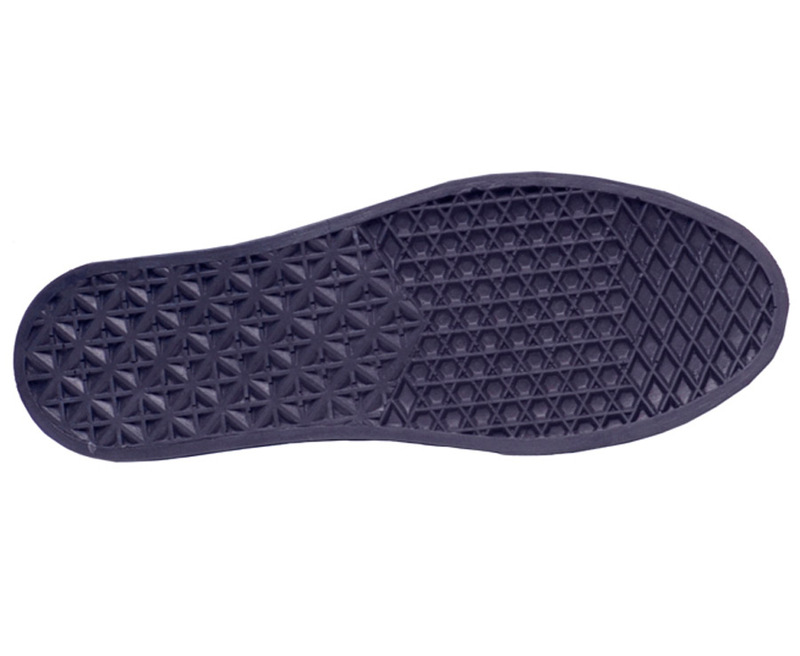 The waffle-tread polyurethane sole is flexible and very light in weight for easy comfort. Was $55.95. Limited stock in men's sizes in 3E, 5E and 6E.